Thanks for the great service. The Oregonian newspaper recently ran an article saying always sell your gold locally. 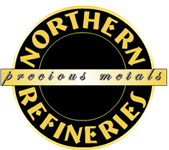 However, Northern Refineries proves the best option is in Michigan. Wanted to let you know we received the check today. Thank you from the bottom of my heart. I will be telling other people about your company and won't forget the kindness you showed to me.I have so much confidence and trust in you and your company. I can't say thank you enough. Received a check today for a small quantity of scrap gold I sent to you last week. Just wanted to let you know that this was the second transaction I've had with your company and only wish I'd found you earlier. I had some really unpleasant experiences with two of your competitors and, by contrast, you've been fast, efficient and have paid pretty much what I've expected. I'll particularly note in regard to this shipment (with the price of gold shifting so dramatically), you could have saved yourself a few bucks by claiming that the gold was scrapped a day earlier and to your credit, you didn't do so. I will be quite happy to recommend your services to friends and colleagues. Stuart, Thank you very much for your time. You have help me in every way I asked. No one can ask for more than that. Thank you for processing my gold. Your company is the best!!!!! Thank you for the outstanding service! I willlet others know about you. Its been a pleasure doing business with you. Thanks again.